This is an excellent book. It gives the reader a first-rate account of the life of Alexander, his family background, the assassination of his father and his accession to the Macedonian throne at the age of twenty, his struggle against the Persians, his amazing conquest of an empire stretching from Greece to India and his premature death at the age of thirty-two. It is firmly based on the two main historical sources, Arrian and Plutarch, and it is well-written and clear. The main text is supported by thirty or so "boxed" inserts giving background information on subjects such as Alexander’s family relationships, life in the Macedonian army, the Persian court, etc. The illustrations are plentiful, well-chosen to illuminate the text, and beautifully reproduced. Perhaps the maps are rather sketchy, but that is a very minor complaint about an otherwise splendid production. But – and there has to be a down side to such a good book – it is brief. The main text is a mere fifty thousand words long, supplemented by some six thousand words in the explanatory boxes. This compares with about one hundred and sixty thousand words of Arrian, its main source, and (to take just one example) the two hundred and twenty thousand words used by Robin Lane Fox in his "Alexander the Great". Not that large word-counts are good in themselves, of course. Waffle is a waste of paper and of the reader’s time. But on the other hand even the best writer needs adequate numbers of words to put down the facts and their background, and (very important in a work of history) to explain the alternative views. Fildes and Fletcher do well on the facts of Alexander’s career and quite a good job on the background, but to keep their account compact they have had to cut out a great deal. For example they devote two pages to Alexander’s visit to Siwa where the Oracle pronounced (or possibly did not pronounce) him "Son of Amun". All the important facts are there, but what is missing is an explanation of the wide implications of the claim to be a son of the god. In contrast, Lane Fox reviews the Egyptian and Greek precedents for such a claim and so helps his reader to understand how it would have affected people’s view of Alexander and their attitudes to him. Fildes and Fletcher spend half a paragraph on another crucial incident in Alexander’s life, the burning of Persepolis (which seems rather like an act of pure vandalism), without mentioning Plutarch’s suggestion that Alexander was put up to it in the course of a drunken party by Thais, a Greek courtesan with a taste for revenge. Plutarch may be wrong, but his story is important (especially as other writers who like the sensational, such as Manfredi in his "Alexander" trilogy, make much of it). Perhaps the most obvious gaps are in the accounts of the fighting. Above all else Alexander was a brilliant general and his success was based on winning battles. Issus and Gaugamela changed the world and we still live with their consequences. To understand Alexander you really need to take account of the military manoeuvres and tactics that enabled him to win against overwhelming odds. The siege of Tyre, which took seven months and involved large-scale engineering, naval actions, siege engines and artillery, occupies a single page of Fildes’ and Fletcher’s text. 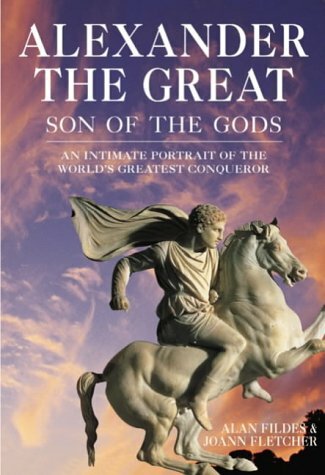 Their book has the sub-title "An intimate portrait of the world’s greatest conqueror", but it has no portrait of him in the heat of the battles that made him famous. You cannot help enjoying this book. It is good to look at, the pictures are a joy, and you will not be able to put it down until you have finished this extraordinary tale. You can read it in a day – and that poses the question. For Alexander was one of the two or three greatest leaders the western world has ever known, and you have to wonder whether a day is enough for him. Tony Judd Tony is a regular contributor to AE. He is currently studying for his M.Phil. in Egyptology at the University of Liverpool and has a specific interest in, and wide knowledge of the Classical world. This is the third volume published by the author (Vol I was on the Kiosk of Qertassi and Vol II The Temples of Semna and Kumma). 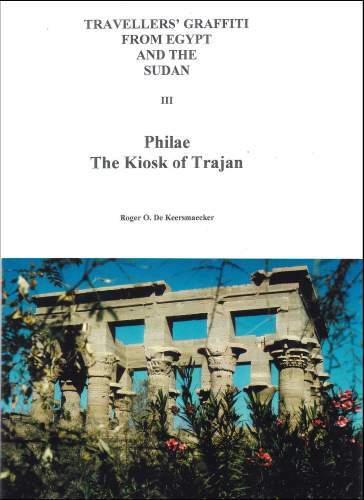 The author has clearly spent considerable time recording the hundreds of graffiti on the huge Kiosk of Trajan, inscribed by travelers who visited Philae from a period between 1799 to the end of the nineteenth century. Each graffito was recorded on cards and photographed before being located on a ground plan of the building. Once this work was completed, the author then carried out research on the travellers, to enable biographical information to be included in the volume and he has also referred to contemporary graffiti at other sites, so that, for example, when a graffito by the same hand was not dated at one site, it could be linked to other, dated examples. The results of this work make fascinating reading. The first person to carve his name on the Kiosk was a soldier of Napoleon’s army. He inscribed "P. CHABUY 1799". We know of no other graffiti by this man, nor do we know anything about him. By contrast "CAP. A. L. CORRY RN JANUARY 1818" is better known. He was the captain of the Osprey (a brig of 232 tons, with fourteen guns, manned by thirty- two seamen) who took Lord Belmore and his entourage to the Middle East. This journey took the party as far south in Egypt as the Second Cataract and also to Jerusalem, Damascus and Balbec. Captain Corry also left his name twice in the large temple of Rameses II at Abu Simbel and once in the small temple, and at a place called Abusir, near the Second Cataract. Clearly recording one’s name was considered important. It is worthwhile posing the question of when graffiti ceases to become "interesting" and merely vandalism. Reading the names in this book is both interesting and frustrating. Who, for example, was "George 1883" or "L. Zucchi 1854"? Perhaps these men thought they were carving their own piece of immortality by leaving their names, but there is a lesson here. This sort of immortality only really works if, a hundred years or so after their death, the carvers are remembered and recorded elsewhere, so we already know who they were and what their achievements in life were. All three volumes have been printed and published by the author. Most publishers would reject a volume like this, but it is important that these inscriptions are recorded and studied. These books enable us to work out who was visiting Egypt and when, and, where there are multiple inscriptions, which sites they visited. Copies are available direct from the author. The Kiosk of Trajan is nicely illustrated with archive images of the site and more recent photographs by the author (whose early visits to the site took place when it was still flooded and before it was moved to its new location). 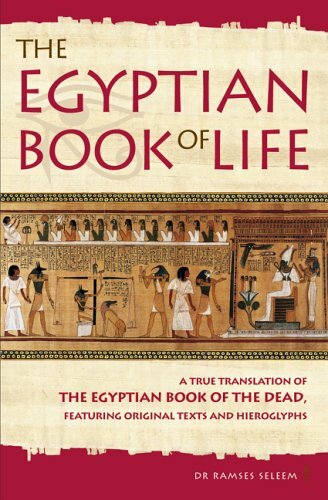 Put simply, this book is a reworking of Egyptian mythology based around the Book of Life (Seleem’s preferred title for the Book of the Dead). With initial chapters dealing with ancient Egyptian religion, death and resurrection, and hieroglyphs, Dr Seleem then moves on to show his new translations of sections of the five chosen papyri, and explain them in the terms laid out in his opening chapters. The problems begin with the erroneous claim in the preface that this text contains new digital images of the original papyri – it does not. It contains images of drawings of the Pyramid Texts without establishing clearly that one is distinct from the other in terms of the time that it was written, and in terms of usage and purpose (the Pyramid Texts were reserved for kings, the Book of the Dead was not). The generally-held view is that the Book of the Dead contains fragmentary ideas from the Pyramid Texts, but they are not one and the same. This lack of basic information on the origin of texts is displayed throughout the book. Also obvious at this early point is the fact that Dr Seleem has created not only a new translation of his chosen papyri, but that he has also employed new names for well known kings and deities which are not always easily understood. It seems that Dr Seleem blames Egyptologists for perpetuating views on Egyptian religion that he believes to be wrong. He is quick to blame Egyptologists for "accusing" the ancient Egyptians of being polytheistic and the apparent implication that they were barbaric (a connection I don’t believe I have seen made in any scholarly work), for "mistakenly" giving the Book of the Dead its name, for "speculating" on the meaning of Egyptian texts. However, Seleem himself then goes on to claim without any basis in fact that the Egyptians originated in Atlantis, from where they emigrated to Egypt in 50,509 BC, and on their arrival built the pyramids at Giza. The evidence for this theory is unclear, and puts the date of the Giza pyramids some 45,500 years before the more commonly held view of the Fourth Dynasty. Perhaps Seleem’s radical theorising would be interesting if backed with facts rather than fancy linguistic flourishes, but sadly evidence is lacking (even as to the origin of some quoted texts). Egyptologists reading this need not think they are alone in exacting Dr Seleem’s scorn – it seems we are up there with Darwin, Marx and Freud in extolling wrong and possibly evil ideas. Bizarrely, the number zero is also singled out as being "evil", so perhaps accountants can also be added to the list. Dr Seleem has furnished the text with a new hieroglyphic font of his own creation, and which is "the best quality text created since that on the monuments themselves"( it has to be said it is a nice font). And while his translations of this very best of texts may be accurate, it is interpreted to fit Dr Seleem’s new monotheistic tradition, where both "Atum-Raa"and "Aten" become "God", no other deity exists, and his explanation of the creation reads like a watered-down Genesis. However, since the Book of Life is apparently the "oldest religious text in the world" (despite the fact that Seleem gives no date for it anywhere in his book), Genesis is probably based on it … . The point of this book may seem obscure – why the new religion, why the new hieroglyphs? It’s all so that we can think as an ancient Egyptian would think, and appreciate the texts that follow. 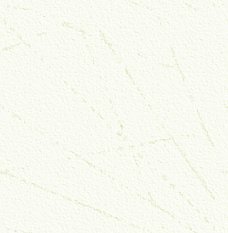 Oh, and in the translation of the Papyrus of Gerusher is a detailed example of breathing techniques that you can learn by taking a course with Dr Seleem. However, I can’t emphasise enough that what you are appreciating if you buy this book is not the texts themselves, but what Dr Seleem believes about those texts. Put more simply, this book should not really be kept in the "Ancient History" section of your local bookshop, but perhaps in the "New Age" section. Published by Watkins Publishing, London. This little book is an absolute delight. 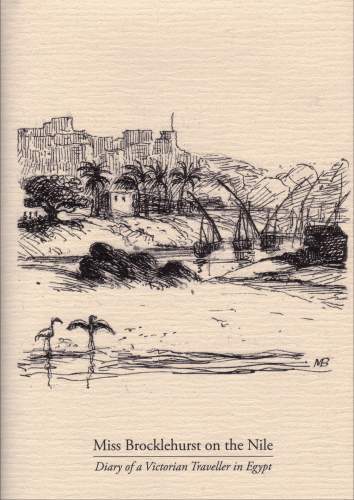 In 1973, Marianne Brocklehurst embarked on a thousand-mile trip up the Nile, accompanied by a companion, Mary Booth, her nephew Alfred, and a manservant, George. She kept a detailed diary of her journey, which was written with wit and humour. She tells of the pleasures of sightseeing, smuggling antiquities, socializing, crocodile hunting and the frustrations of travel. Crocodile hunting apart, modern travellers to Egypt reading the diary will recognize many of Marianne’s comments and observations, as she travelled the length of Egypt on board her specially commissioned dahabeya. Marianne filled the pages of her diary with line drawings and watercolour paintings, many of which are reproduced in the book. My only complaint is that there was not space for more of these exquisite vignettes. Marianne’s nephew appears to have been a major liability on the trip, as his main pastime seems to have been shooting at anything and everything. Crocodiles were his main obsession (although he shot many, they never quite managed to recover the bodies as trophies). On one occasion Alfred shot a "native", who was placated by three shillings baksheesh. On her journey Marianne obtained a mummy (see AE Vol. 2, Issue 6 for the full account of this) but only managed to return home with the splendid cartonnage case; the mummy, which had started to smell, was left behind. Typical of the many entries is: "We find today that the mad cook has beaten his kitchen maid again. This is about the tenth time, so we tell him that if he does it again he must leave Luxor. Upon this he attempts to precipitate himself into the Nile." During her journey, Marianne frequently met up with Amelia Edwards, who was on a similar journey. Amelia later recorded her own exploits in her best-selling One Thousand Miles up the Nile. Marianne records that her small party "… spent the afternoon among Karnak’s immense halls and gorgeous ruins. It is very splendid. Alfred shot a fox and thinks more of it than the temples, naturally." On the journey they acquired a chameleon which needed to be fed with three flies a day and with drink from a silver spoon. It survived for several weeks, but died after it "swallowed a poisoned fly". One is left wondering how the fly became poisoned or how indeed this diagnosis was arrived at! Marianne collected many small antiquities on her travels and these are now housed in a purpose-built museum: the West Park Museum in Macclesfield, Cheshire. This book, with its 118 pages is very readable and difficult to put down once Marianne’s journey along the Nile commences.